This study was designed to assess the extent of implementation of an ICT (ICT) program for secretaries at the staff training centers in southwestern Nigeria. Based on the available literature, a 29-item questionnaire using a four-point scale was developed and used in this study. The population of this study was made up of all ICT teachers and all secretaries in training at the Staff Training Centers in southwestern Nigeria. 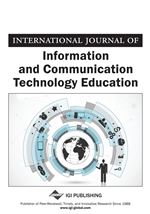 The findings of this study revealed that there is urgent need to recruit more competent ICT teachers to teach in the Government Staff Training Centers in southwestern Nigeria and for supply of adequate and modern equipments for the training of secretaries in ICT.